I had a good time at the Road To California Show. This award winning quilt was hand appliqued and hand quilted by Joanne I Florence. I am fortunate to say I know Joanne and have seen some of her spectacular work. She is a master with a needle. The pattern is a Lori Smith pattern, Eagle Applique From My Heart To Your Hands. The rich cheddar ground is stunning - thrilled to see Joanne's skill and handwork recognized! She placed third in traditional applique. Detail - Joanne Florence's "Eagles' All Around"
A detail of one eagle. There were very few hand quilted pieces in the show! This was my favorite art quilt. It is by Patt Blair. Original design, I think the category is "Art Critter"
This is an interesting combination of reproduction fabrics in a traditional pattern, with very contemporary machine quilting. Miniature Ohio Star blocks, I think about 4.5" finished size. Alternate blocks feature machine quilted feathers. It was made for a church auction. The grand daughter wanted it so it was purchased back for $5,000. This is the machine quilting detail. With the 4.5" block size you can see how tiny the circles are. This basket quilt by Ann Feitelson is a fantastic play with color. Five sequenced solids combine with five sequenced stripes or plaids to make a group of 25. The groups are interwoven; all the baskets in one color group face one direction. Directional shifts reveal the color groups. Original design based on a traditional basket block. The special exhibits were good too. 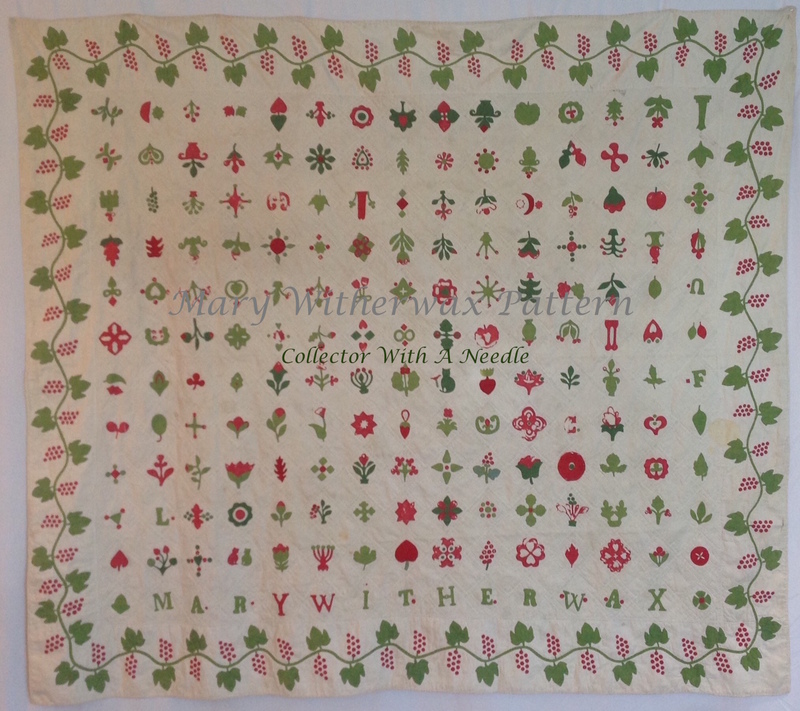 Sandy has a fantastic collection of antique quilts and graciously shares her quilts with others. 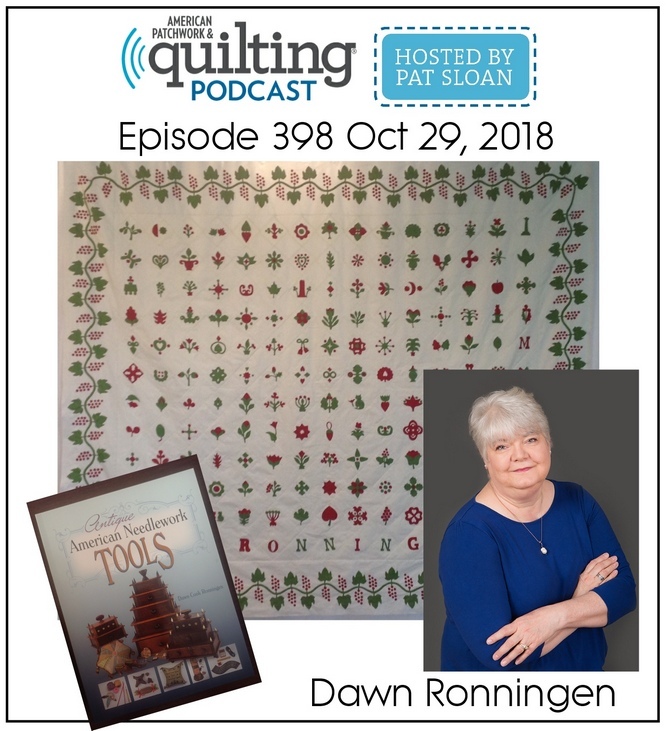 This exhibit featured a few of her antique signature quilts. Thank you for sharing Sandy! This beautiful signature quilt has a controlled layout with the blocks placed by color. Each center square is signed. The blocks are bound and finished 'pot holder' style. Tiny, tiny whip stitching secures each finished block together. I wish I could show you all of the quilts in this exhibit. Maybe she will do a book! I've written about Sandy's collection before. You can read it HERE. 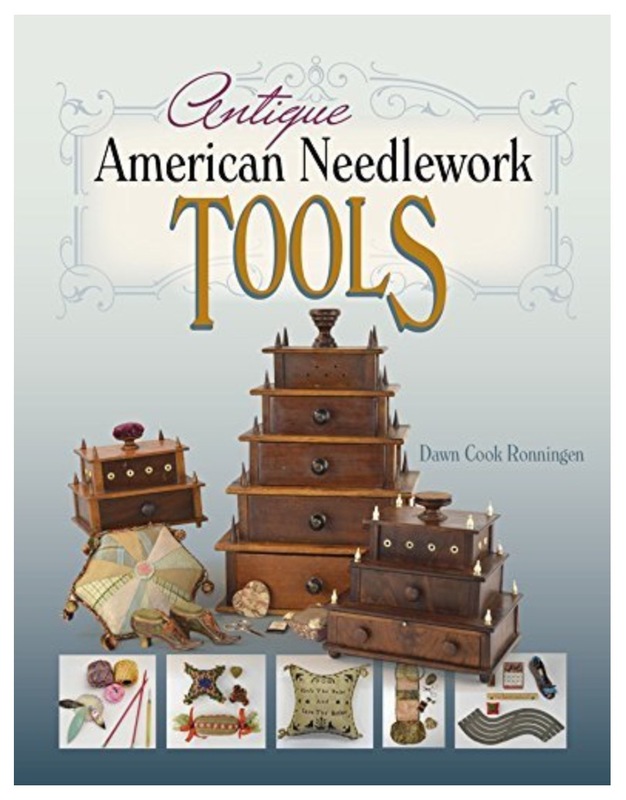 There was also an exhibit of Amish quilts, both modern and contemporary. This quilt is from Kalona, Iowa. From The Collection of Roberta Horton. This is just a small taste of the show. Of course there was some antique shopping! Saving that for a future post. The trip also included quality time with friends as well as sunny side trips and adventures. Now back to reality and SNOW! ...and of course some quality stitching time. I hope you enjoyed the show pictures. I've added another sewing box to the collection. This walnut box has bone or ivory diamond inlay, a working lock and interior trays. I have not seen another like it. If you have, I'd love to hear about it. I was able to meet the previous owner, he dated it to c. 1840. Also in the photo is a velvet elephant pin cushion. The small pocket is...maybe for thimbles. 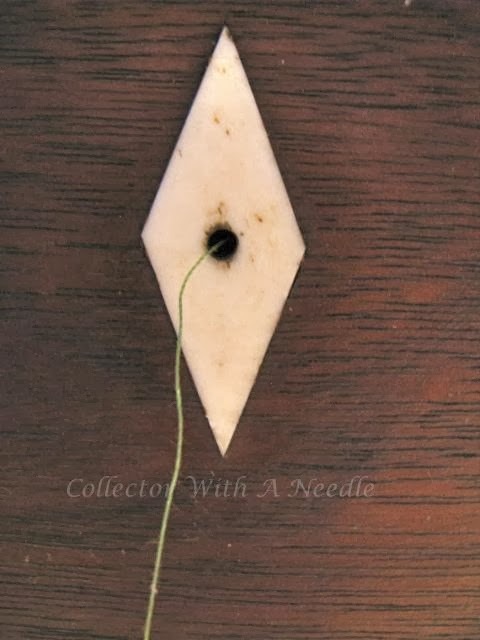 The thread reels sit on post, with the end of the thread extending through a small hole in the center of each diamond. In this closeup photo you can see the grain of the walnut and the bone or ivory. I'm not will to test the inset to see if it is bone or ivory, but I'm leaning towards bone given the brown streaks and pores. We are very excited so many of you are joining us reproducing the Noah and Matilda Boyce Album Quilt! Seeing some finished blocks from the first set is a joy. This is the basket or vessel from the first pattern set. I did mine in prints, the original was done with solid fabrics. I appliqued my green base down, then appliqued the red triangles on top. Some have chosen to use a basket or china/porcelain look print. In this block, also from set one, I combined solids and prints. I pulled lots of fabrics from my stash including solids and prints. 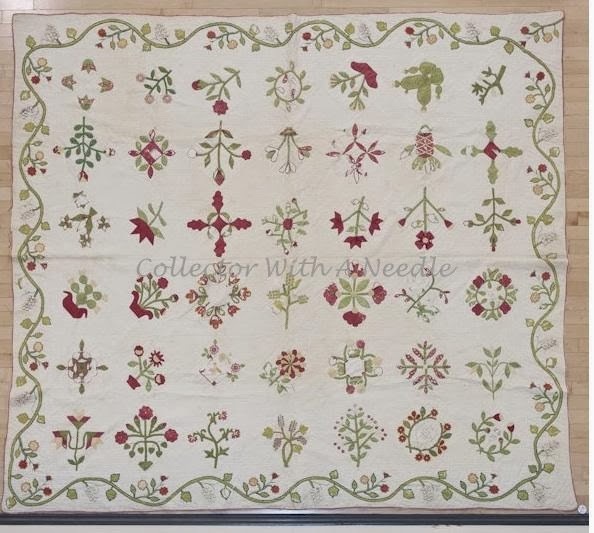 The quilt has quite a variety of leaf and flower shapes. Future sets include a bird, various pots and vases, some grapes, wreaths...Very FUN!! This block from set one is yet another leaf shape. It also is one of the few blocks with a yellow print. The original block had a solid green leaf, but I chose a print. I love to surprise people, so today is the 9th, I refunded the 9th person (Judith) who purchased the first set. Thank you for all your compliments on the professional quality of the patterns, we are dedicated to accurately petterning the antique.